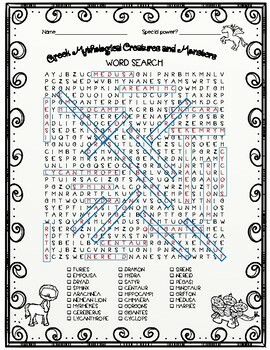 Word searches are good for spelling, vocabulary, and visual motor skills! 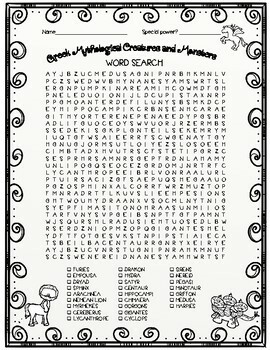 This is a challenging word search that any Greek mythology fan should enjoy. There are 25 words, and they go in every direction--up, down, diagonally forward, diagonally backward, across, and backward. It's a fun little time-filler, especially if you've got any Rick Riordan fans in your class! 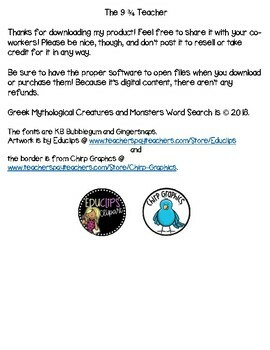 Be sure you have an app to open and print PDFs!